South Korea has a handful of short-track champion athletes. Some even joke that the South Korean national short-track league is even more competitive than the Winter Olympic Games. One can only imagine the kind of emotional burden and pressure that these short-track speed skaters must experience. Lee Yu-bin, the youngest of the South Korean short-track team, is reportedly a fan of the boy band BTS. She has said in an interview that her bias is none other than Jimin. When asked how she copes with the pressure of being a member of the national team, she replied "BTS." "Whenever I get a break, I watch BTS clips or look for their photos online," she said, just like any other ARMY. 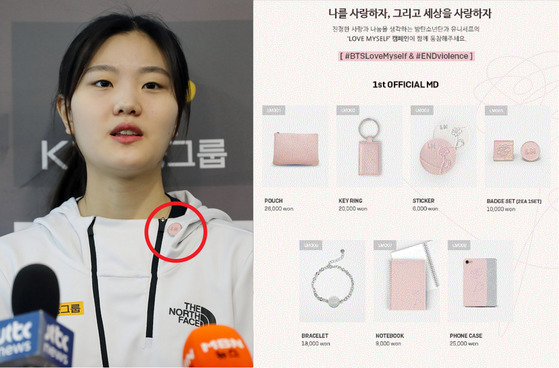 She has also donned the "LOVE MYSELF" badge that she purchased from the collaborative project of BTS and UNICEF. "I'd like to go to BTS concert and fan meets after the Olympic Games are over," she told the interviewer. 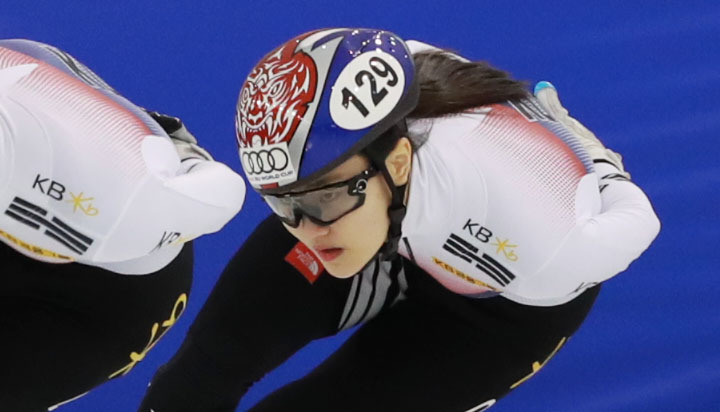 On February 20, Lee won the gold medal in the women's 3,000-m relay in short track speed skating. Another Olympic champion who is an ARMY!